The Update I Was Waiting for… Music on the Echo Smart Speaker!! I first reviewed the Echo Smart Speaker in a “First Impressions” post on 12/11/14. So be sure to check that out here. I’ve been kicking around writing a full review of the Echo Smart Speaker recently. The thing holding me back though was that I was pretty frustrated with a few specific elements of the speaker. I’m fine writing a bad review (check out my thoughts on the WinBook! ), but the Echo had such great potential, and I knew it was one major update away from being something amazing. Well today that update came. Let me tell you briefly what it is. When the Echo first arrived it could play music, but your choices were very limited. You were stuck with Amazon Music, I Heart Radio, and TuneIn Radio. If you didn’t have your music collection in Amazon’s cloud, you only had those streaming services as options. Amazon Prime Members can get access to Prime Music, but if you’re used to services like Spotify, RDIO, or Google Music, you’ll find Prime’s offerings pretty limited. And that was the kicker, and why I didn’t want to pass judgement on the device. Echo was a bluetooth speaker that didn’t act like a bluetooth speaker. It acted like a conduit to the Amazon ecosystem, which is very much the business model of the company (ask any Kindle Fire owner). This $100 device ($200 for non-Prime members) couldn’t attach to my phone via bluetooth to allow me to stream other music services, and that was a huge gap. But now that gap has been filled. Just this week Amazon released on update that allows for bluetooth access. In their marketing they state that now “Spotify, Pandora, and iTunes Music” will work with Echo, but in truth any music service can now connect via bluetooth. That includes RDIO and Google Music, among many others. And now my Echo Smart Speaker is able to play my entire collection (personal music stored in iTunes, and music streaming via RDIO). That’s it. This worked on both my iPhone 6 and my iPad Mini (1st gen). Seamless. Once you start playing music on your mobile device, you can control it with your voice, just like the original music apps. Play, Pause, Next Song, Previous Song, Volume. It’s all controlled via voice. Though you can always control it with your mobile device too. The Echo Smart Speaker is a great device. I already loved it before this update. Through Prime Music I found many playlists that have filled my house with music. I’ve used the “add to my grocery list” and “set a timer” functions many times. I ask for my “news update” now and then, and I think it’s amazing. I can see such great potential in this little speaker. And now with the full bluetooth functionality I’m not searching for music, or uploaded hundreds of CDs into Amazon’s cloud. I can use any music streamer I want from my phone or tablet, and the experience is great. The jury is still out on whether or not it’s worth the full $200 that Amazon says it will cost when the Beta period is over, but we’ll deal with that when it comes. For now the Echo is truly living up to it’s potential. The mere mention of the words “Beats Headphones” is likely to cause an emotional response, from those who spend any amount of time committed to listening to music. Usually two camps will form. Those who think Beats are awesome, and those who think Beats are overpriced junk. While both camps have good points to make, the insistence of adhering completely to one opinion over the other only causes further confusion about what exactly these headphones are, and whether or not they are really worth the pile of cash it takes to procure them. I’ve had a pair of Beats Studio headphones for a couple of months, and I’d like to share my opinion about these polarizing headphones. Please bear in mind that I am a music head not an audiophile. It’s important to understand the difference, to know where I’m coming from as I review these “cans” (it’s easier to type “cans” than “headphones”). So the audiophile cares much more about the quality of recording, whereas the musichead’s focus is on the music itself (based on lyrics, vocal quality, etc). Beats offers several models of headphones, at varying prices, from the “urbeats” earbuds for $90 to the “Beats Pro”, which go for $360. My model is the Beats Studio (wired), which will run you $299. The Beats Studio headphones offer great sound. I say that as a musichead, and also as a guy who spent the past five years with either Apple earbuds or $15 Sony cans. Those options gave me good sound. They weren’t junk. The Sony’s were actually surprisingly good, but over time they have started falling apart, which isn’t surprising considering how cheap they were. If you want great sound, without the perfection an audiophile looks for, you will be pleased with the Beats Studio headphones. These cans are “over-the-ear headphones”, meaning your ears will be nestled down inside the soft “leather” of the earpads. I tried the “Sol Republic” headphones, which uses an “on-ear” design, but I found that they were pinching my head to the point that after 30 minutes or so I had a headache. Moving to the Studio design, I’ve found that I can wear these headphones for six straight hours without any discomfort, and that is a huge selling point for this design of headphones. The Sol Republic’s offer great sound (on par with Beats) but that on-ear design wasn’t working for me. 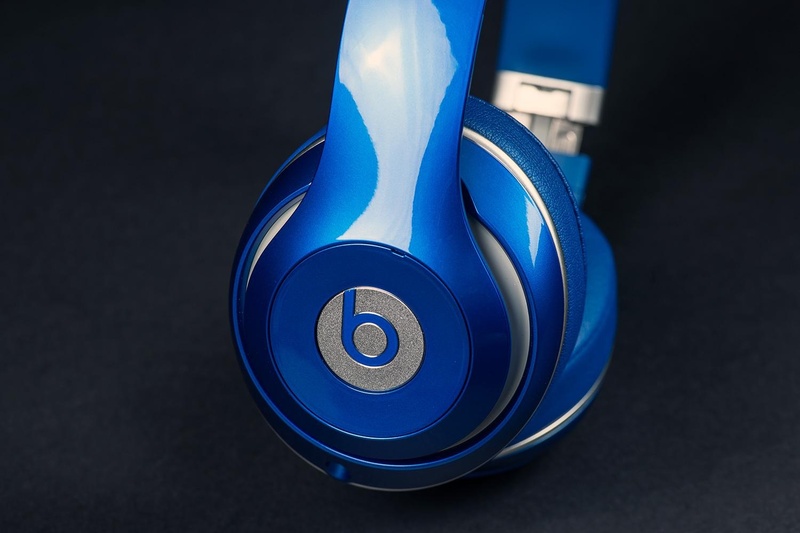 The Beats Studio’s offer noise-cancelling, which is internally powered. I’d never used this type of headphone before, and I really like the functionality. While not entirely noise-cancelling, the headphone completely cancel out all “white noise/ambient sound” and muffle everything else. I work in an office complex, and I finally feel like I’m not surrounded by a bunch of people. The noise-cancelling function is powered via micro-USB, providing up to 20 hours of listening between charges. This is both a good and bad thing. The older models required batteries, which would have to be changed frequently. But the charging design means that when you’re battery is drained, not only will the noise-cancelling not work, but the cans will not work entirely. So now you have another device to manage in regards to battery life and charging schedules. You can also use the headphones as glorified earmuffs, as they have a physical power button on one ear, allowing you to engage the noise-cancelling piece without actually playing music. I use that feature more often than I thought I would. A couple of notes about the case, and design for travel. The headphones collapse to make them easier to carry around. That said, they are still pretty big headphones, so even in their collapsed state, they will take up a good chunk of your bag or purse. Beats includes a carrying case. It looks like a big egg and it’s intention is obviously to protect the headphones, not make them any easier to pack in said bags. The case is just large enough to house the collapsed cans, the headphone cable, and the charging cable/wall charger). Finally, a great feature of these headphones is the detaching cable. By not hard wiring the cable into the headphones themselves you will have a much easier time replacing the cable part should they become damaged (it happens!). Also the cable functions as the “power button” for battery element of the cans. When you put the plug-in place the battery starts, as does the noise-cancelling. Pull the plug, and you’ve effectively, turned them off. First off these headphones are certainly a premium product. You are paying for the name brand and the “cool factor” that is associated with the Beats line. I was actually avoiding these headphones strictly because I didn’t want to give into the hype. I have audiophile friends, who insisted that there are cheaper cans with better sound. I just needed to do some homework. But I didn’t want to do some homework! I’m a musichead. I just wanted to listen to the music, and have the sound be “great but not perfect”. I tried many pairs on before settling on the hyped up/admittedly over-priced Beats headphones. And I have no regrets. The need to manage charging, as mentioned, can be a bit of a pain. And the case is large, meaning it’s always in my computer bag. If you want a small set of headphones, these are not the one’s for you. Finally a note about Apple’s purchase of Beats. The headphones come with both a standard audio cable, and an enhanced cable with phone buttons and volume. That enhanced cable will only work with iPhone/iPad devices. If you are on Android, or using any other type of music device (any Walkman listeners out there? ), you might as well chuck that extra cable out, because the standard cable is the only one that will work for you. This will only become more the case, as Apple integrates the Beats line into their portfolio of products. Note: If you are looking for a cheaper options, here are a few good sets, that won’t even set you back $100, let alone $300. Amazon is usually not shy about releasing new products. Just opening up the home page of amazon.com will usually point you right at whatever new thing the company is pushing to the market. It’s the holiday season so the Kindle Fire tablets are front and center, which is not a surprise. But there’s a new device that Amazon is releasing very quietly. It’s a Bluetooth speaker called the Echo, and it’s like nothing you’ve seen before. Thanks to a generous co-worker I am getting to test out this new device over the holiday season. Currently the speaker is only available via invitation (which you can request here). And it’s only for Amazon Prime members at the moment too, at the cost of $100 (it will be $200 when it releases to the general public). Based on my first couple of weeks with the Echo, I’ve already got my invitation request in! 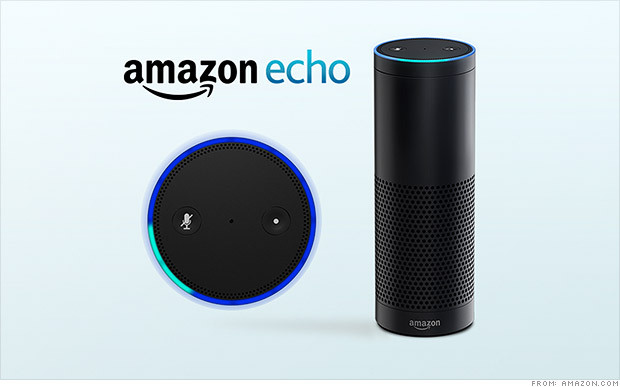 So what is the Echo exactly? There are tons of Bl uetooth speakers on the market; everything from the cheap things you can get at Wal-Mart or Target, to the higher end (while still consumer focused) devices like the Jambox from Jawbone. You can always drop a ton of coin on the offerings from Bose, but that’s not what the majority of casual music listeners are looking for in a Bluetooth speaker. The Bluetooth speaker I’ve had for a while is the Jam Wireless Speaker (which you can pick up for $30). It’s a decent speaker but it has to be charged, and has limited bluetooth range. So I’ve been pretty sour on Bluetooth speakers in general. But the Echo is a powered speaker (meaning it’s plugged into the wall all the time). So no issues with power drain. So far the Bluetooth range to my phone has been good too. No dropped connections at this point. But Echo is so much more than just a Bluetooth speaker. Think Siri. Think Google Now. If you’re a Windows user, think Cortana. These are all digital assistants. They come in all high-end smartphones, standard these days, and in plenty of tablet computers as well. They are tools that connect you to the Internet, for news updates, weather reports, calendar appointments, Wikipedia searches, that sort of thing. I have an iPhone and rarely use Siri, but I do use Google Now quite a bit. Especially for those “what sushi bars are nearby” kind of questions. 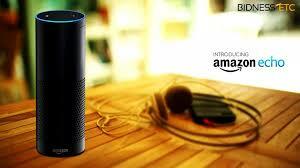 The Echo speaker has a digital assistant built into it, and her name is “Alexa”. All you have to do is say the name “Alexa” and the speaker comes to life (via a spinning blue circle on the top) and begins listening for your questions. Simple things like “what time is it” and “ will it rain tomorrow” are child’s play for her. Using the WIFI element built into the speaker, Alexa can search Wikipedia with the best of them. Answering the question tech companies seems to always think we care the most about, you know it, “how tall is Mount Everest?” It’s really important that we all know this. And Alexa will make sure we stay informed. On that topic, you can ask “Alexa, give me my news update” and she will connect to either NPR or BBC radio to provide a quick news briefing just for you. There are some tailoring aspects that I haven’t had time to explore, but I’m excited to learn more! With the Echo companion app installed on your smartphone or tablet, you can have Alexa save things to a “to do” list or a “shopping list”, just by saying “Alexa add milk to my shopping list”. That’s pretty handy. Now you don’t need to pick up a phone or tablet to have a digital assistant ready to take care of you. Alexa is still a bit of a beta device though, so she can’t answer everything, so be warned. “Alexa what movies are playing near me?” She hasn’t got a clue. But will gladly search BING for you. One last note about music listening with the Echo. Prime members have access to “Prime Music” and that is the main resource Alexa uses when you ask for a genre or artist. Don’t be surprised that the selection is limited. Alexa can also search for any music you’ve purchased on amazon.com. The other two music resources, as of now, are “I Heart Radio” and “TuneIn Radio“. Both give you plenty of options for whatever genre of tunes you’re in the mood for. Here’s the coolest thing about the Echo speaker. There are microphones lining the top circle of the device (where the pretty blue light shows up when active). And they are long-range mics, so even if you are across the room, the speaker can hear you and respond. “Alexa, play some Christmas music” and before you know it, chestnuts are roasting by that open fire! Do you want more volume, just say “Alexa volume up” or “Alexa volume 5”. Beware of going over Volume 7 though. I made the mistake of saying volume 10 to her (the highest setting) and the music was so loud the mics couldn’t hear me. Pretty funny scene though as I shouted for Alexa to turn the music down. Volume can be controlled via an included remote control too, but you won’t want to use it. The Echo Smart speaker has a ton of potential. Tech writers are already speculating about what this new technology could mean for the future of home tech. Imagine coming home and saying “Alexa lights on and play some 80s hair bands” and it’s done (though darker lights might be a better choice if you’re planning to jam to Motley Crue). The possibilities go beyond lighting and sweet tunes though. Digital Assistants could control your thermostat (like the Nest does now), unlock your doors, open your garage, start your oven, or brew your morning coffee. We are only limited by our imagination! And Echo, along with Alexa is the first step into a pretty cool world. To get an idea of what this device can do, check out Amazon’s official commercial here. And for a slightly more “colorful” commercial, check out this parody. I am a musichead. Basically that means I am constantly listening to music of a wide variety, and I have a strange obsession with music in general. I’ve always been a musichead, so when I attempt to map out the evolution of music listening, you can trust that I’m speaking from first hand experience. To really understand how we listen to music today, it’s helpful to see how things have changed over time (at least my time as a music junkie). Disclaimer: I was too young to experience much of the 8-Track and Record days (except for the recent resurgence of vinyl among a sub-set of the musichead community). So my history begins in the mid-1980’s in the age of the cassette. There was a time when radio DJs held much more power than they do today. These were the days when the only way to know the name of song or band was if the DJ mentioned it after playing a tune on the radio. I can recall sitting anxiously through a tune I was really digging, only to be left empty-handed as the DJ moved on to the next tune without a word. Those were frustrating days! If you could get your hands on the song title, or band name, then you were off to a record store like Sam Goody, Musicland, or Best Buy to scour the racks of cassettes or CDs in hopes that the album would be available. If it wasn’t you were again at the mercy of the store employees to order it for you and call when it arrived (requiring another trip to the store to pick it up). But around the turn of the century everything changed with the rise of digital music, via a website full of scandal. Back in the days of dial-up internet access, Napster came into existence, providing music to the masses for the first time. The internet also gave us the ability to search for the names of bands and songs. Of course this was still rather rudimentary, being years before google would dominate the landscape of web searches. With Napster’s piracy platform people could get the tunes they wanted. No more buying an entire album for the two good songs. You could just “rip” the two good songs and be done with it! But legal challenges resulted in Napster being a short-lived experiment, and while music piracy continues to be a challenge on the internet, the spectrum of music listening moved on to the next evolution. The rise of digital music faced one major setback in those early years. Regardless of how many tunes you could download on your computer, you were still stuck burning the tunes to a CD to listen to them on your disc player. The world needed a portable player for digital music, and after several expensive low capacity models were released, Apple blew a hole in the competition with the iPod. Originally released in 2001, just as Napster died, it wasn’t until 2004 when the iPod Mini was released that the product gained a large audience. And with the introduction of the iTunes Store around the same time, Apple had provided the solution to the problem with digital music. For the first time, your entire music collection could actually fit in your pocket. The years that followed were dominated by the iPod and iTunes. While other MP3 players existed (most notably Microsoft’s failed attempt, the Zune), the casual user knew of only one MP3 player, and the iPod became the device of choice, and iTunes became the source for purchasing music. While this period of music listening was thrilling, it didn’t represent a major change in how we collected music. Instead of trips to the record store, or mall, we could access the music online. But, after the brief flash of Napster, the majority were buying their music again, amassing digital libraries versus physical libraries. And instead of walkmans and discmans, we’d moved on to iPods and other MP3 players, but the overall approach to music listening hadn’t really changed. But then came a whole new way of listening, something truly revolutionary. We tend to take streaming music for granted these days, as the advent of smartphones has blurred the line between what we own and what we “rent”, but in those early years music streaming was an amazing new way to listen to music. Yahoo Music was one of the first services offered in the early 2000’s, providing a catalogue of music to listen to online. In 2004, Pandora Internet Radio was launched and it remains to this day one of the dominant players in Streaming Radio. The new piece of data Pandora brought to the market was the ability to create custom playlists based on artists or songs you like. This was the first “music discovery” tool, which would come to dominate online music applications. Now musicheads had an entirely new way of discovering new artists, versus reading music websites, or (gasp) the variety section of the local newspaper! Pandora has been joined by other services like IHeartRadio, Rhapsody, and Grooveshark; all services offering customized music experiences for their listeners. Most provide free content, supporting revenue through ads, and premium services, which remove ads and bring additional functionality, like offline listening. Those premium service wouldn’t have been possible without the newest tool in the music listeners belt, the Cloud. The news is dominated these days by stories of hackers breaking into different retailers and stealing consumer information, which is only heightening the casual user’s fear about what exactly “the cloud” is, and whether it’s a good thing to use. I can tell you simply that the cloud isn’t something you can avoid, and the benefits of online storage (which essentially is what the cloud is) far outweigh the potential risks. Anyone who shops online is at risk from identity thieves and hackers, and using the cloud does little to increase your risk. So with that little diatribe aside, I can also tell you that the cloud is an amazing tool for music listeners, and not just for musicheads like me, but for everyone. Smartphones are dominating the consumer marketplace right now, led by the iPhone, and a vast array of Android phones. All of these devices use apps, including music apps. Premium services from Spotify, Rdio, Google Music, and Beats (to name a few major players) offer offline listening, which basically means you can store the music from these services on your phone, and you don’t need the internet to listen to it. In essence, you are borrowing a library that can easily masquerade as your own music. I have used Rdio for almost all of it’s four year existence, building a library larger than my own CD collection through the service. I’ve recently experimented with Google Music All Access, which takes the library building one step further by integrating your personal collection with your online collection (all available offline). I feel that these services have brought us full circle to the way I collected and listened to music in the cassette era. I have a large library of music that I can listen to on the go with a piece of hardware (smartphone/iPod). This is both good and bad. If 15 year old me could see how things are today, he would do backflips about having all that music at his fingertips. When the music discovery tools baked into these same apps were revealed, he’d probably have a stroke. All of these apps offer similar “radio stations” like Pandora to figure out new bands to listen to. But there was a problem with my hundreds of CDs, which I continue to have with my thousands of online CDs. It’s just too much music! And so despite having access to more tunes than I could ever have imagined, I tend to listen to the same ten albums (or playlists), which makes me feel like I’m still stuck with those ten CD’s that fit in the sun visor of my old Pontiac. I’m a musichead! I should be listening to way more music! I could put myself in the hands of Pandora and tell them a band I like, but I’ve found limited results there. That’s when I discovered Songza. A more detailed review of this app will follow, but I’ll just say that through this internet radio app, I’m now listening to a wider variety of music and discovering new things. And for the first time in a long time, I find myself listening for the pure joy of listening. I’m not building a collection of music that I’ll end up so overwhelmed with I revert back to my top ten list again. I’m simply experiencing music of a wide variety of genres, and loving every minute of it. We have come a long way from the day of DJ dominance and mix tapes. I’m sure people my age and older remember the days of listening to the radio with that blank tape queued up with the record button pressed, along with pause, ready to snag that awesome new tune (for free!) And while the ways we get our music and the actual devices we use to listen to our music have changed dramatically over the past 25 years, the goal has always been the same. To have the music you want to listen to, when and where you want to listen to it. To have new ways to discover new music, and bottom line, to enjoy the experience the music provides. Songza has a variety of categories to determine what you might want to listen to, and one is “moods” (Spotify has something similar). If you’re Happy or Gloomy, Trashy or Trippy, they got ya covered. Feeling “campy” like I was yesterday afternoon? A couple clicks and you are drowning in Survior, INXS, Deff Depard, and other awesome 80’s bands. And that’s the pure joy of being a musichead. To be in a place, and have the soundtrack that brings it all together. Happy listening to all you musicheads, and all you music listeners too. With all the options technology now provides, you have little excuse but to start listening. And soon you’ll be a musichead too.